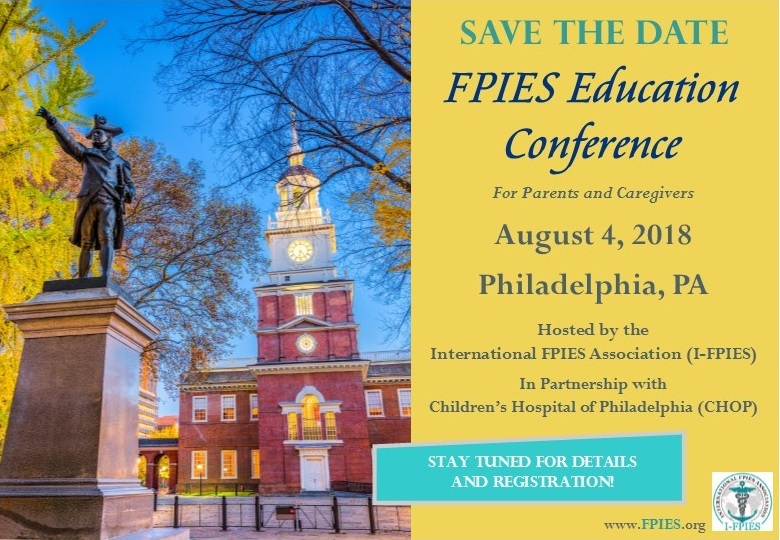 The 2018 FPIES Education Conference for parents and caregivers is coming to Philadelphia this August, and we want to hear from you! This International FPIES Association (I-FPIES) is busy planning the conference agenda. Please take a few minutes to complete our pre conference survey–your feedback can help shape the program! Stay tuned for registration and more details about the FPIES Education Conference in the coming weeks! Next Next post: FPIES: Debunk the Myths!